Traditional with a wild streak? If you like classic black jammers but are looking for something with a bit more edge, you are going to flip for the Michael Phelps Zuglo Men’s Jammer. 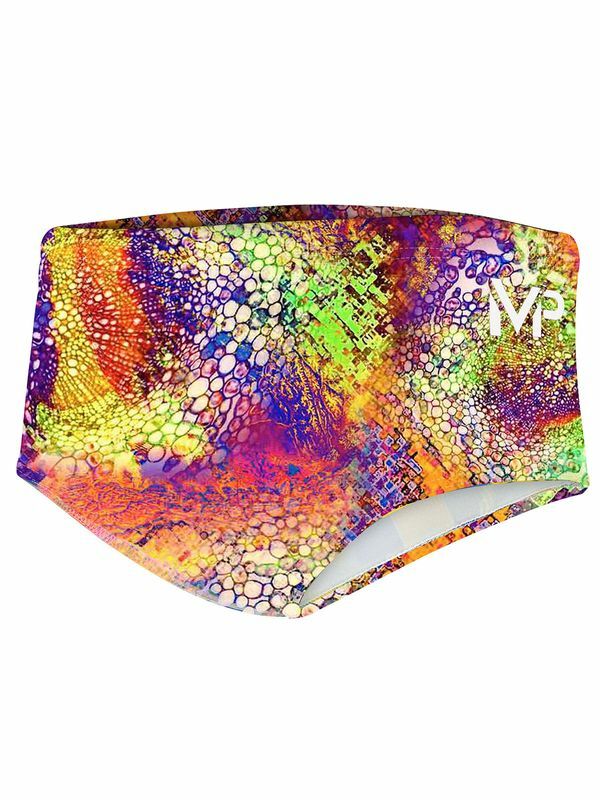 This black jammer features a vibrant print in a kaleidoscope print of vibrant shades of ruby, magenta, azure blue, forest green, purple, mint green, and snow white running a zigzagging pattern around the jammers. Like every piece in the MP Training Suit line, the awesome Michael Phelps Zuglo Men’s Jammer were developed Michael Phelps and Coach Bob Bowman to meet the needs of the planet’s most elite competitive swimmers.